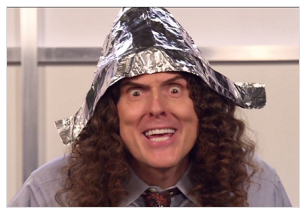 My my my, what is the tin-foil conspiracy media going to do now that they've been proven wrong about 'muh Russia' collusion....Cry? Lol. Who are these weirdo media people who cry on television? And who even watches television anymore? How many times can you watch someone be wrong, time after time, after time and still take them seriously? A. If there was something, it would have been leaked long ago. B. There is damaging information that politicians are trying to sweep under the rug. 4. There is no new information and politicians are trying to sweep it under the rug. 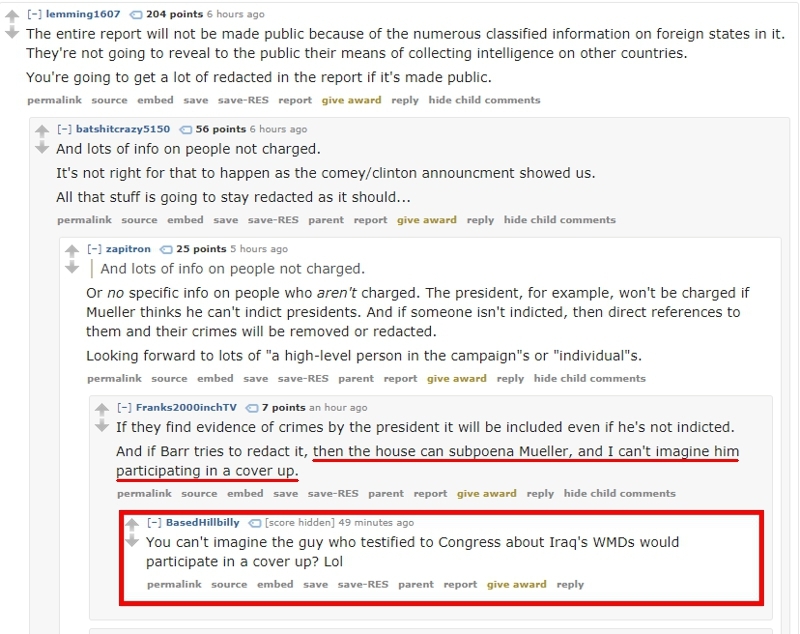 BECAUSE, the "Muh Russia" Mueller investigation is the Single. Biggest. Investigation. Of this President and highly anticipated, the fact that it was released close to 5pm Eastern time is proof that there is nothing in it. Do you follow the logic? In other words, if you are a cop investigating a person of interest and have been in the news for 2 years and have nothing to show after your investigation you are going to release it on Friday afternoon when the Media is going to take two days off for the weekend, so you don't get destroyed by said media. However, if you were a cop investigating a person of interest AND actually had something, you would release it on a Monday morning so that you would get wall-to-wall coverage praising how amazing and wonderful you are all week. Mueller has no reason to cover anything up in this report. AGAIN NO COLLUSION AND NO INDICTMENTS. The report was delivered Friday afternoon to Deputy Attorney General Rod Rosenstein’s office and it was delivered to Barr’s office within minutes, a senior DOJ official told Fox News. The White House was notified that the DOJ had received the report around 4:45 p.m., before lawmakers on Capitol Hill were informed. Neither the White House nor Congress has seen the actual report. Following word that Mueller was not recommending more indictments, Giuliani told Fox News that they were "confident" the investigation would show there was no collusion. I love conspiracy theories and as anyone who has gone down rabbit holes in the past, at some point you have to admit that you were wrong. Of course the tin-foil wearing Corporate Media, won't ever admit such a thing...and for whatever reason...people still watch Corporate Paid Media...hoping that despite a track record of being wrong about everything, one day...ONE DAY...they will be proven right. It's not going to happen fam. Once you realize that governments and media hate the Native populations, everything starts to make sense. American Natives know this more than anyone else...Heritage America is only just now figuring it out. Share, like and subscribe to Alaska's rare political blog that is NOT run by a corporation.